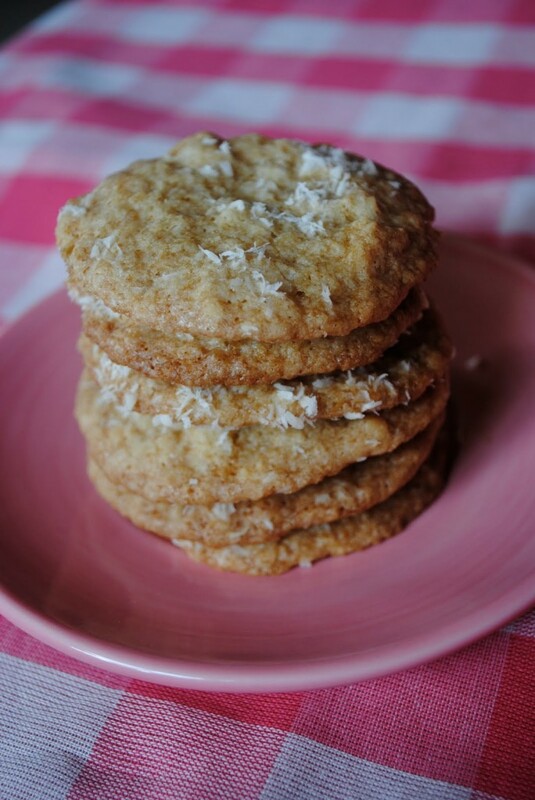 Coconut Macademia Nut Cookies No Ka ‘Oi! (“No Ka ‘Oi” means The Best! in Hawaiian.) Macadamia trees grow all over the South Pacific, though they are native to Australia, New Caledonia and Indonesia. Macadamia trees are evergreen, which means that they never lose their leaves. They can grow as high as 12 meters — that’s almost 40 feet. The first macadamia trees were planted in Hawaii in 1882. Now Hawaiian macadamia nuts are known all over the world as a rich and delicious treat! As you know, I love cookies… so here’s my favourite recipe for some Hawaii-themed cookies! Mix flour, baking soda, coconut and salt. In a separate bowl beat the butter, sugar, coconut extract and eggs until smooth. Gradually mix in dry ingredients, then add nuts! Spoon onto ungreased cookie sheet, 2 inches apart. Bake at 375 degrees for 10 minutes or until light golden brown.